The charming and magnificent old town of the Baden metropolis is on your doorstep. 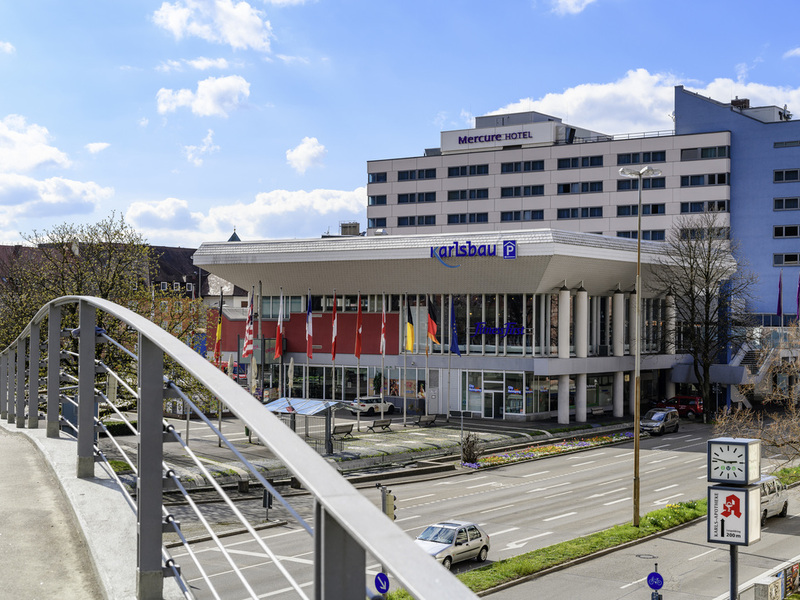 All 117 rooms at the 3-star Mercure Hotel Freiburg Minster are air-conditioned. Our hotel is VDR certified, the three meeting rooms are suitable for events with up to 140 people. Train in adjacent gym on special terms. The main station is 1 km and the A5 is about 8 km away. Park your car in the underground paid parking. The lovely city of Freiburg is steeped in history, which is captured in the various monuments and buildings. In addition to all this tradition, Freiburg is also a very vibrant city, down in no small part to its younger-than-average population. Our hotel has newly renovated its rooms. "The Flave" offers a cozy and modern ambience for a drink or a meal. Choose between comfort and privilege rooms at the 3-star Mercure Hotel Freiburg Minster. For your stay with family, spacious rooms are available. All 117 rooms have AC and are non-smoking. Two children On request, up to 12 years of age sleep free of charge in the parents ' room. Baby cots are optional. Your pet is welcome (10 EUR/night). From 12pm to 12am, relax in the modern ambience of THE FLAVE. We offer a wide and refined selection of food and beverages, which are available on our beautiful terrace.